I was commisioned to paint for a church to mark the retirement of their minsiter. The painting is based on Psalm 84 and contains 5 promises. 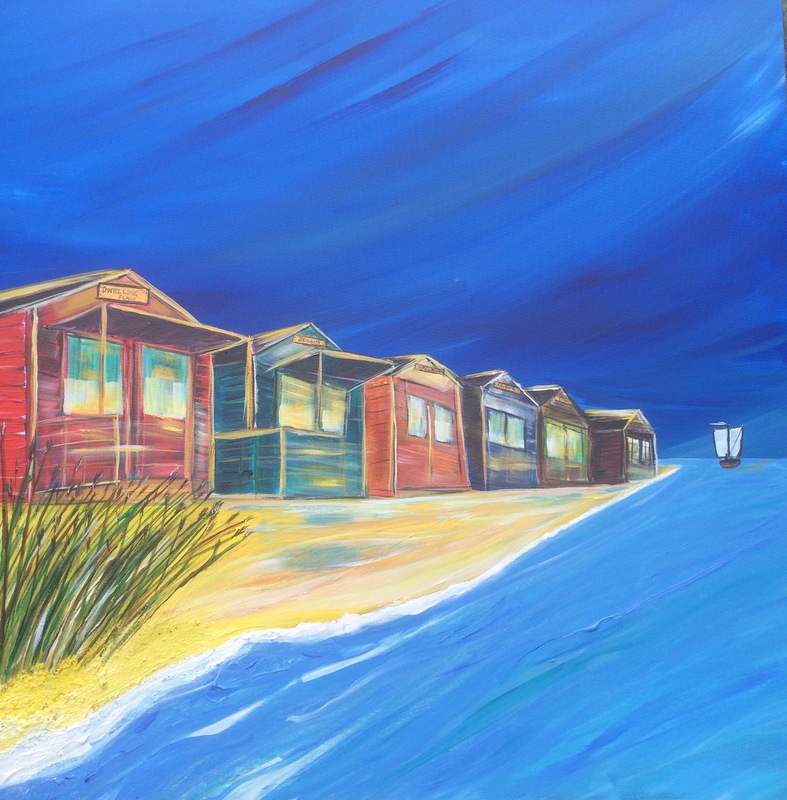 The view of the beech huts is from the sea, a place of immersed blessing! I spent time this summer observing the sky and sketching ‘sky scapes’- I think it’s paid off with this painting.